Before the 1883 fire, there were two properties at this site; afterwards they became a single property. 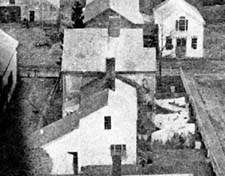 The view east (toward the harbor) from the Methodist Church tower before the 1883 fire. Mrs. Crocker's house (#33A) is seen at the center, on the corner of Main street and what was then called "Franklin Street" (now Church street.) Part of Mrs. Holmes' house (#33B) is visible on the extreme left. Rodolphus W. Crocker Sr. Photo courtesy Dave Merry. John Holmes Jr. and Charles A. Luce wrote shortly after the 1883 fire: "Mrs. Mary T. Crocker's House. Erected by Capt. William Daggett early in the nineteenth century and here he lived, a stray abolitionist. Was one of the ten voters in town who in 1840 voted the Liberty ticket. (Abraham Anthony was another). R. W. Crocker purchased the house from the Daggett estate and his widow was living here at the time of the fire." In April 1853 Rodolphus William Crocker (1816-1875) bought this property from William Daggett, and moved into the home that Daggett had built. It was on the corner of Main Street and what was then called "Franklin Street"  after the fire this road became better known as "Church Street." Rodolphus Crocker had come to Tisbury in the late 1840s from Wareham. He was born in Hyannis, the son of Timothy Crocker and Elizabeth "Betsy" Hinckley of Wareham and Hyannis. He had married Sarah Elizabeth Fearing (1822-1857) of Wareham, the daughter of John Fearing and Drusilla Swift. Sarah died in March 1857 at the age of 34, and nine months after her death Crocker married Mary T. Cobb (c.1832-3 - 1910) of Carver, Mass. 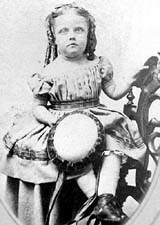 In 1865 and 1870, Crocker's daughter and son-in-law Drusilla W. (Crocker) Smith and Charles G. Smith Jr. were living with them. Crocker was also the father of well-known harnessmaker R. W. Crocker Jr. (See Site #1.) It was this younger R. W. Crocker whose factory burned down the town in 1883. Rodolphus Crocker Sr. was the brother of Wendell Crocker, and together they ran the Crocker Brothers store and livery during the 1860s and early 1870s (see Site #2). The 1850 and 1870 census lists R. W. Crocker as a "trader," and in 1860 and 1865 as a "merchant." He died in November 1875 of cancer. Mrs. Crocker's boarding house was among the very first burned on the night of the great 1883 fire, which started across the street at her stepson's factory. John Holmes Jr. and Charles A. Luce wrote about this house: "John Holmes House. Built by Jonathan W. Howland, 1844. Bought by Capt. Thomas H. Smith Jr., who died in China shortly after selling his bark, the Carrie Leland of New York. Capt. Ephraim Harding was next owner, and it was inherited by his daughter, Mrs. Holmes. Capt. Charles E. Cleveland, Dr. William Leach and others occupied at various times previous to Mr. Holmes. This was the first dwelling house that took fire on the memorable night. Among the treasures burned in this house was a commission given by John Hancock to Mr. Holmes' great grandfather, John Holmes, Aug. 18, 1783, and was first pilot's commission issued by the man who wrote the bold hand." Capt. Thomas Harlock Smith Jr. (1813-1863) was the son of Capt. Thomas H. Smith Sr. (of Sharon mutiny fame) and Deborah West of Tisbury. He was probably the 4'9" tall boy (as measured at ages 15 and 17) with "light" complexion and "sandy" hair who appears on the rosters of the Ship Leonidas of New Bedford during 1829-1831, and the Ship Brandt of New Bedford during 1831-32. In 1841 he married Elizabeth W. Dunham (1827-?). By 1849 Smith had command of his own ship. About 1855-6, the family evidently left the island, perhaps to Salem or New York, even though their son Alexander evidently continued to live here with his uncle Alphonso until 1860-65. The elder Thomas Smith sold this house on his son's behalf, to Ephraim Harding, in November 1856. The Jan 29, 1864 issue of the Gazette reported the following: "DIED. At Shanghai, China, Aug. 16th, Capt. Thomas H. Smith, Jr., late of bark Cobang, aged 50 years. - Salem papers please copy." Tisbury mariner Capt. Ephraim Harding (1814-1858) was the next owner of this home. He was the son of William Harding (1781-1847) and Abigail "Nabby" Baxter (1787-?). His wife Deborah Hancock (1816-1844; the daughter of Chilmark farmer John Hancock and Mary Look) had died of Typhoid Fever at the age of 28 in November 1844, and in 1852 he married (2) Eliza Dunham (1827-? 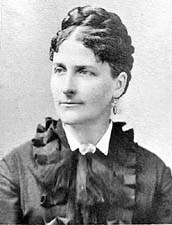 ; the daughter of Holmes Hole postmaster George Dunham and his wife Eliza Manter). This home was inherited by their daughter Abby Harding (1837-1918). Abby was not quite seven when her mother died, and was twenty years old when she lost her father and brother. In 1857 she had married Capt. Orlando G. Robinson (1826-1898), who was the son of Tisbury shoemaker Thomas Robinson and Amy N. Downs. Capt. Charles Edwin Cleveland (1826-1881) evidently rented this house for a time from Abby Harding, and he was living here in 1860. Capt. Cleveland was the son of Benjamin Cleveland (1787-?) and Hannah Smith (1789-?). He married Beulah King White (1829-) in 1849. They had one child, Lizzie Cleveland, born in 1857. After her father's fatal accident, Abby Harding (1837-1918), her husband Orlando Robinson, and her stepmother Eliza Harding evidently moved out of this house before 1860  possibly to a home owned by Capt. Robinson's family. Robinson disappeared shortly after their 1857 marriage. Although he appears in the 1860 census, he does not appear in any later records except one 1862 document that lists him "at sea." His 1898 gravestone is in Vineyard Haven. Abbie evidently divorced Robinson (perhaps for abandonment? ), and in January 1863 she married John Holmes Jr. Esq. (c1826-7  1887?) of Tisbury, in Brooklyn. Holmes was the son of Tisbury merchant John W. Holmes Esq. (c.1791-1873) and Abbie West (1798-1887). By 1865 they had moved back into her family home at this site. The 1865 census lists Holmes as an insurance agent, in 1870 as an "agent of underwriters" and in 1880 as a notary public. Between about 1873 and 1880 the family may have again moved out of this house, as their 1880 census listing appears to be down the neck, out-of-town toward West Chop. In April 1883 John Holmes became the accountant for R. W. Crocker's factory following the discovery that the previous accountant had absconded with stolen funds. According to Holmes, theirs was the first house to catch fire in the great blaze of August 1883. The loss on the dwelling and furniture was listed as $3500, although their insurance (in spite of Holmes' former position as an insurance agent) only totaled $2200. Ten days after the fire, they sold the burned lot to their neighbor Mrs. Mary T. Crocker for $300. John Holmes evidently died in April 1887. Mrs. Abbie (Harding) Holmes died 05/02/1918. Mrs. Mary T. Crocker. Photo courtesy Dave Merry. 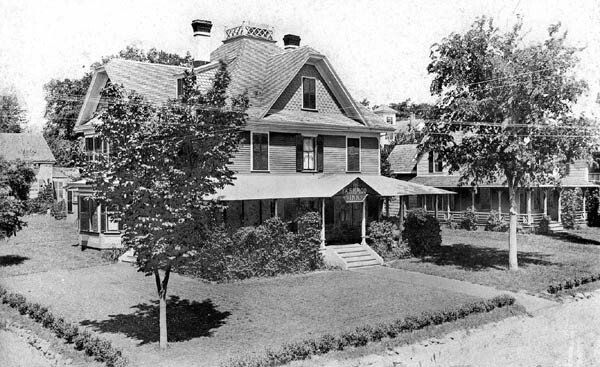 Immediately after the fire, Mrs. Crocker bought the Holmes property next door and began construction of an even larger home on the newly enlarged property. Meanwhile, she maintained her boarding house at the cottage known as "Beach Side" until she finished rebuilding. In October 1883 builder George F. Armsby laid a foundation and raised Mrs. Crocker's new residence. A November 1883 issue of the Gazette notes that Mrs. Crocker was "taking a large number of table boarders." Later the same month the paper reported that her new Main street residence "will be one of finest buildings in town." In March 1884  Mrs. Crocker obtained a $600, 5-year, 6% mortgage on her expanded corner lot and dwelling house from Benjamin C. Cromwell. The circa 1886 birdseye illustration (at the beginning of this chapter) identifies her home as the "Crocker Summer Villa." The Tashmoo Inn. Photo courtesy Dave Merry. Gratia Harrington, in a 1967 article for the Gazette, wrote: "The Cronig Block now occupies the adjoining space to the corner of Main and Church streets. It was here that the Tashmoo Inn stood. The inn was surrounded by green lawns, with wide vine-covered piazzas on three sides, while on the Main street corner stood a tall flagpole. The only one in town at that time, I believe. The inn was a popular summer boarding house run by Mr. and Mrs. Harry Castello. Around the turn of the century the building was moved to the present site of the Tashmoo Inn. Mr. Castello lived to be the last Civil War veteran on the Island." In March 1888, widow Mary T. Crocker sold her home for $5100 (including $2500 in mortgages) to Mrs. Caroline Frances Castello (1849-1934). She and her husband Harry F. Castello (1844-1937) had moved to the island the previous fall from Barrington RI. He was born in Rhode Island, the son of English immigrants, and Caroline was herself an English immigrant. 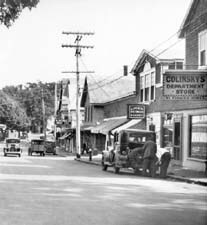 A founder of the Vineyard Haven Water Co., Castello was part of an enterprise to bring plumbing to Main street by piping water from Tashmoo. Castello was a Civil War veteran. He had served for just over three months in 1862 as a private in Company D of the 10th Rhode Island Volunteer Infantry. The 1890 veterans' census notes that he had incurred a "disability" during his service, a "Quincy[?] Sore Throat." Harry Castello was president of the Vineyard Haven Water Company, which was organized in 1887. In April 1888 the Martha's Vineyard Herald reported that Castello's business partner, Mr. Stanley, was "enlarging the Tashmoo House preparatory to its occupancy by Harry Castello" and later that month that "Among the improvements at the Tashmoo House is the addition of a laundry, which, beside the hotel work, will do a general laundry business." That spring carpenter M. C. Vincent built an addition to the "Hotel Tashmoo". Early photo of the Tashmoo, after the building was renovated. Part of Stephen Luce's store is visible on the left. In May 1888 the paper reported that "Mr. Castello has used the hydrant (with hose attached ) on Main street, as a lawn sprinkler and window washer, with great success on the Tashmoo house and lawn." 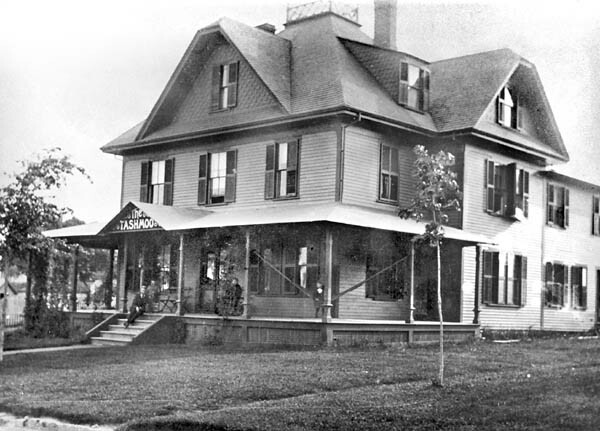 The same month, the paper reported that "The Tashmoo", Vineyard Haven's new hotel, would open for guests June 1, 1888. The "Tashmoo House" closed for the season in November 1888, and reopened in April 1889. An August 1889 article refers to boarders at the "Tashmoo English Inn." The Castellos may have spent their winters in Boston, as Harry is listed in the 1890 Boston Directory as a "manager" located at both 1 Bath street, Boston and at Vineyard Haven. In September 1890 it was reported that workmen were installing a hot water heating apparatus into The Tashmoo. In May 1893 it was reported that Castello had The Tashmoo "painted in colors", and in November 1893 that it was being renovated. In December 1893 it was reported that they were having an addition to the kitchen built. They continued to keep the hotel open for about nine months each year through the 1890s. The Castellos appear alone in the June 1900 census, suggesting that unlike the Mansion House, the Tashmoo Inn was a small operation with a small, non-resident staff. .in the heart of our village. It is to be regretted that the causes which necessitated the removal of the Inn could not in some way been obviated." 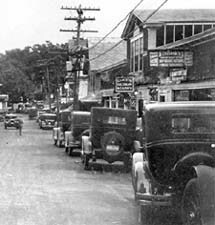 Stan Lair wrote: "Harry Castello was the owner of the rooming house called 'The Tashmoo'  It was located on Vineyard Haven Main street at Cronig's Main St. location. It was across the street from Renear's Stable and was moved, because of the complaints of guests of odors emanating from the stable, to North Main Street, and called the Tashmoo Inn." 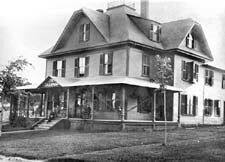 The new location of the Tashmoo Inn was what was then called the "North End", on West Chop Road (on the corner of what is now Tashmoo Avenue.) It was placed upon the lot of land purchased from Judge Arnoux. On October 1903 Harry and Caroline Castello closed the Tashmoo Inn. It was reported that Mr. Castello had become a "commercial traveler for a large firm of dealers in plumbing goods, of Providence. Mr. Castello travels in the interest of a patent faucet." Walter Renear wrote: "Harry Costello was the last Civil War veteran in my hometown of Tisbury. Once, when I was in the third grade, Mr. Costello, too infirm to walk, was driven by his housekeeper in a school memorial day parade. Very near to where I was, the parade was lining up to start when the Costello driver backed up and ran over the leg of a second grade girl. Several people shouted for the driver to stop; the driver then stopped and reversed - breaking the little girls leg in two places. A terrible accident. Harry Costello owned the 'Tashmoo Inn' when it was located at Main and Church Streets (Capt. Packer [later] purchased it.)" Caroline Costello died in February 1934. Harry married Elizabeth Lomax in September 1934, and died in July 1937. The Tashmoo Inn was later operated by Thomas Rabbit. It burned down in June 1958, but was rebuilt on its original foundation the following March, 1959. 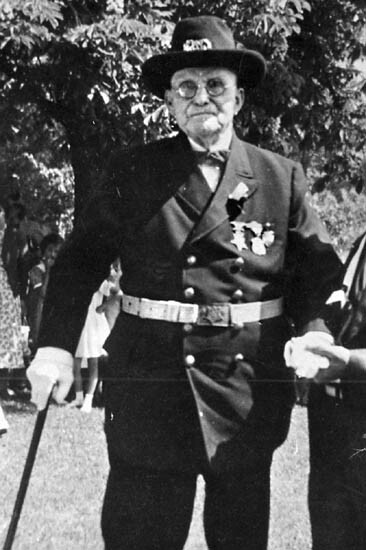 Harry F. Castello, the last Civil War veteran on Martha's Vineyard. Photo circa 1920. "The Tashmoo", probably in the 1890s. Stephen Luce's Grocery is on the far left. 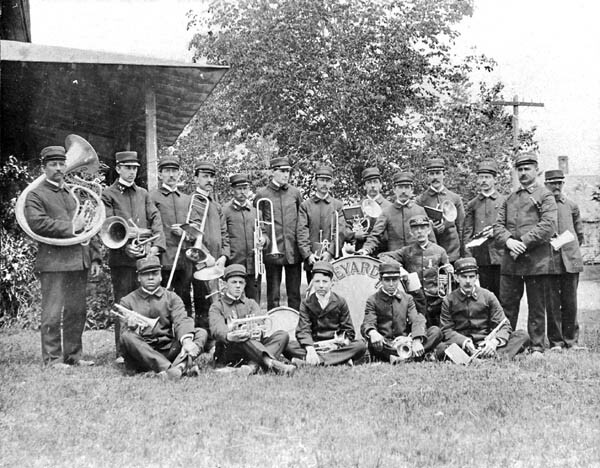 This photo appeared in the Vineyard Gazette, many decades after it was taken, with the following caption: "The picture, taken by George Golart on May 30, 1899, shows the Vineyard Haven Brass Band assembled on the lawn in front of the H. A. Castello house, which was the original Tashmoo Inn. At that time it stood on the present site of Cronig Brothers Market, at the corner of Main and Church streets, Vineyard Haven. A corner of a cornice of the old harness factory (the second one) may be seen at the upper right of the picture. 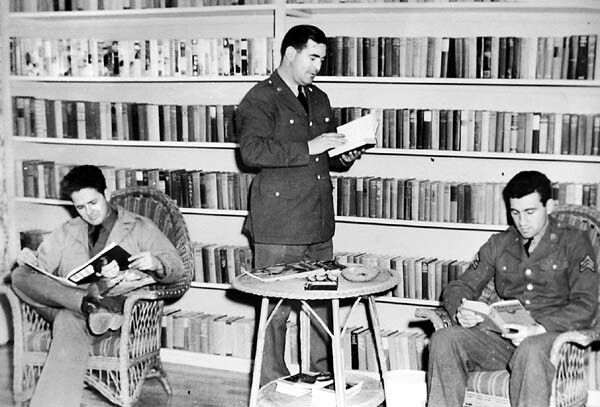 Reading from left to right, the figures shown are as follows: "Rear line: F. H. Johnson, A. C. Tuckerman, George E. Ames, Dean Luce, Arthur Smith, William Dutcher, Harry B. Weeks, Joseph A. Merry, Timothy Shugrue, Carlton P. Lair, Rev. William D. Wilkinson, Henry J. Cleveland, Charles Foster. "Between the standing rear line and those sitting in front, Richard G. Shute. 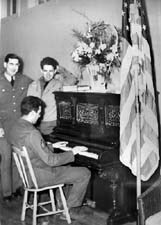 "Front line, sitting, left to right: John Forman, Fred C. Peakes, Roy W. Norton, Fred L. Norton, Leroy C. Lair." whom the Menemsha dock was named." Freeman Leonard was the first photographer on the scene on the early morning of Sunday June 8, 1958 when fire destroyed this upper Main Street landmark. He took the following photographs and developed the color slides himself. The slides were shown the next day in the window of Mosher Photo and later were used as evidence in court against the alleged arsonist. The original hotel building was built downtown in the winter of 1883-84 by Mrs. Mary T. Crocker and used as a boarding house. It was later enlarged and made into a popular summer hotel by the last Civil War veteran on Martha's Vineyard, Harry F. Castello. Its original location was on the corner of Main street and Church street (where later stood Cronig's Market.) In 1901 Castello moved the entire building from its downtown location to the "North End," near the corner of Tashmoo avenue and Main street. 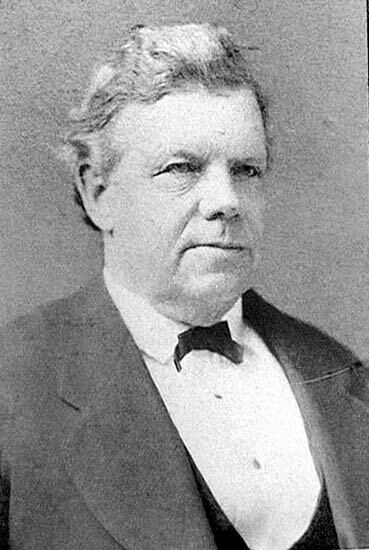 At the time of the fire, the hotel's proprietor was Thomas J. Rabbitt. There were no injuries, although the hotel was completely destroyed. Its replacement value was estimated at that time in excess of $100,000. A smaller building was later built at this site. The Sandpiper restaurant was located here during the 1970s, and today (2001) it is the Montessori School. Stan Lair said: "The Cronig Block. The former site of the Tashmoo Inn, it was moved by Henry Castello to North Main Street, just off of Tashmoo Avenue, and it burnt down, and I don't remember the year, but it was replaced by the Sandpiper Restaurant, which was built just about on the same site. At one time at Cronig's Block there was W. E. Godfrey Clothing. Then in the rear was a Mr. Sparrow. Sparrow, like a bird. A piano tuner. I recall seeing Mr. Sparrow on a bicycle. It was probably the first Smith Motor Wheel on the Island. The wheel was fastened on the rear of the bicycle, right along side of the rear wheel. Old Mr. Sparrow was chugging along with his piano tools strapped onto the bicycle. Quite a sight! Also in that building was Dewey's Barber Shop. He was another colored barber. I went to school with his boy, Harold Dewey. I remember him well. The Barnacle Club was located there for awhile also. And Walter Norton had another ice cream parlor there. And Herbie Stevens opened a small short-order restaurant. Herbie was famous for his 'Coot Stew.' If you don't know what a 'coot' is, it's a form of duck whose chief diet is fish, I believe. And unless they're cooked a certain way, why they're not very edible. And Herbie used to serve this 'Coot Stew' and it was pretty good, I guess. He also had a sign stuck up over the front of the counter, said 'Do not kid the coffee - you may be old and weak yourself one day.' Quite a guy. George Cary also had an electric store there for a few years. Henry Cronig's office was there. Peakes & Lair's office was in the same office as Henry's, and on the end, towards the Bodfish House, was David Colinsky's clothing store." The lot where the Tashmoo Inn had stood laid empty for two years. In August 1903 it reported that the rapidly growing Public Library was looking for new quarters and was considering Castello's corner lot as a possible location for a new library. Finally, in November 1903, the Gazette reported that "A neat building, although small, is being erected on the lot corner Main and Church streets. We believe it is for an ice cream parlor." Detail of previous photo. Walter Norton at center. Ralph Look said: "Walter Norton, right. I remember him, sure. Don't talk to me about ice cream cones and... good, too! Hey, that damn stuff would stick on your tongue - that was real cream! And Walter Norton was very particular. He kept a mighty fine place. It was clean. He was meticulous, he really was. Connie (Downs) Leonard said: "Oh, yes. Well, that was, I think [now] there's a coffee shop or something, next to Carlyle Cronig. Right there. Yes, it was a nice ice cream parlor. He made very nice ice cream, but the servings were very stingy. Extremely stingy. And the price was not within my means." Stan Lair said: "Walter Norton. Walter was Cyrus Norton's son, and Clarence Ward's wife's brother. The family lived up on Edgartown Road. Walter was in the ice cream business, he always had ice cream businesses. I remember when he had a store over right before Centre street, a little building there where the theatre is now. He also had another store in Cronig's Block, the present Cronig's Block, when that block was divided up into three or four different stores. They've enlarged it since. And Walter had pretty good ice cream, too. He was a very good ice cream man." Walter S. Norton (1882-1958) was the son of Vineyard Haven teamster Cyrus Norton and his wife Evelyn who was from Maine. Walter's ice cream parlor was listed at this location ("Main, near Church.") in the 1907 Vineyard Haven directory, and in the 1910 census Norton is listed as the 28-year-old proprietor of the ice cream parlor. The parlor appears as the two-story "confectionery" store located to the north of the Barnacle Club on the 1914 Sanborn map. After closing his parlor in 1919, he moved to Florida where he ran a similar business, and after the second world war he worked at a Boston restaurant. 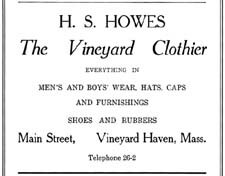 By 1907, Henry S. Howes had a men's clothing store at this location which he advertised in the 1907 and 1910 Vineyard Haven directories. About 1911 he moved further down the street (See site #28.) He died in 1912. W. E. Godfrey had been a Main street clothier since before 1907, and in 1911 he reportedly bought Castello's block of stores on this corner, and moved his shop here from his previous location across the street in Lane's Block. He ran W. E. Godfrey's Corner Store here until it closed in early 1914. By 1914 it was referred to as "Castello's Block" again, so perhaps Godfrey only leased it? In May 1914 the Gazette reported that "H. F. Castello's business block" was being electrically wired. RL: Yes, Goody Fisher. That's one. He was a nice old man, I liked him very much. Had a cane, used to walk downtown every day. SL: I remember he had an alligator in there, or something. RL: That's right, that's right! Big one. Hey, they had quite a few over the years, there. Another one was Cleveland. Jennie Cleveland's father, Warren Cleveland. He was another club member. They were all nice people. I remember an instance... (Laughs) I was sayin' to myself, I was tellin' my wife: hope I never get that old, but I was doin' some paper hanging for Miss Cleveland, see? RL: Yep. And she invited me in to lunch to eat with him. I had my lunch pail, so I sat down with Warren, Mr. Cleveland, Jennie, and what's the other boy's name there? SL: The boy that lived there? I don't remember, now. SL: I can't remember his name. RL: His father was the head of, the jeweler there, L. E. Briggs. Kenny Wilson! Right. Alright. I sat there and all of a sudden I looked up and here was Mr. Cleveland spreading a yellow cake on his bread. I said, "What's goin' on there?" Well come to find out he thought it was butter. Isn't that somethin'? Terrible. Yet on the other hand it didn't bother him any. You know. And from there I'm gonna go to, well, Colinsky is in there. George 'Goody' Fisher was the "custodian" of the club for many years when it was located at this location. The 1907 and 1910 Vineyard Haven directories list William H. Dewey's Lunch Room and Hair Dressing and Boot Blacking Parlor at this location. 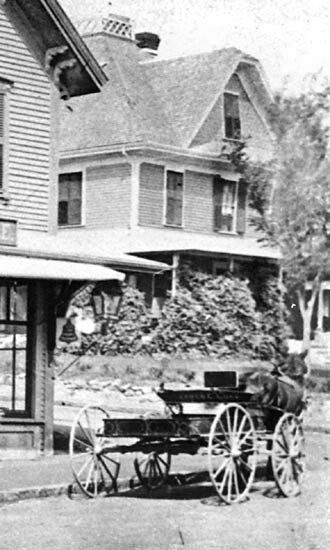 Stan Lair identified it as the "store" shown to the north of Walter Norton's ice cream parlor and to the south of Alley's grocery in the 1914 Sanborn map. William H. Dewey (c1859-60 - ?) was an African-American barber from North Carolina. His wife Etta W. Dewey was listed as the manager of a restaurant in the 1910 Vineyard Haven census, so she evidently ran the lunch room. She was also from North Carolina and was the mother of thirteen children, only three of whom survived to adulthood. Stan Lair noted that Herb Stevens later took over this lunch room, although it is unclear when of for how long. SL: Herbie Stevens, do you remember him? BW: Yeah. Herbie. If you drive up Main street hill and turn down onto Causeway, Herbie lived on the right hand side of the road in the first house. I remember Herbie. He used to work on cars, in the garage under the house there. He used to sell cars once in awhile. He sold a car to my father one time. A good car, Model A Ford. 1929. I can't remember what year my father bought it, but it was a '29 car. I think Herbie used to chauffeur for somebody. BW: I can't remember. He used to chauffeur for somebody in the summertime. Some wealthy people. SL: At one time he ran a little short order restaurant, too, across from the bank. It'd be somewhere in the Cronigs Brothers store now, the Main street store. Had a little restaurant there for awhile. BW: He died a long time before his wife ever did, May. SL: He did? I didn't know he died, maybe he did. BW: Well she married again afterward. SL: I know she did, but I thought they were divorced or something. The Public Market bounced back under new management (presumably the Alley Brothers), and in July 1913 it was reported that David Brush worked at the Public Market. The December 1914 Sanborn map identifies the northernmost shop in Castello's block marked as a "grocery," which Stan Lair marked as being the Alley Brothers' store. The Alley Brothers were definitely operating here by 1915. 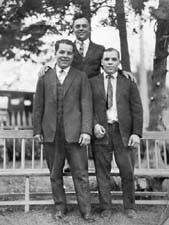 The Alley Brothers consisted of Antone H. "Tony" Medeiros/Alley (1886-1975) and his younger brother George P. Medeiros/Alley (1888-1946). They were both born in Cottage City, the sons of Cottage City grocer Domingo Pacheco Medeiros/Alley (c.1864-1922) of Sao Miguel in the Azores, and his German wife Lena Knoff (1864-?). According to Our Portuguese Heritage by Marianne Holmes Thomas, "Family lore has it that the surname 'Alley', a play on halibut, was derived from a nickname given to [Tony and George's uncle] Antone when, as a teenager in Cottage City (Oak Bluffs), he peddled fish in the Portuguese community. Whatever its origins, the name was thought to be far easier to deal with than 'Medeiros', and it was adopted by nearly all of the family members." and appears in the 1910 Oak Bluffs census as a "retail grocery meat cutter." 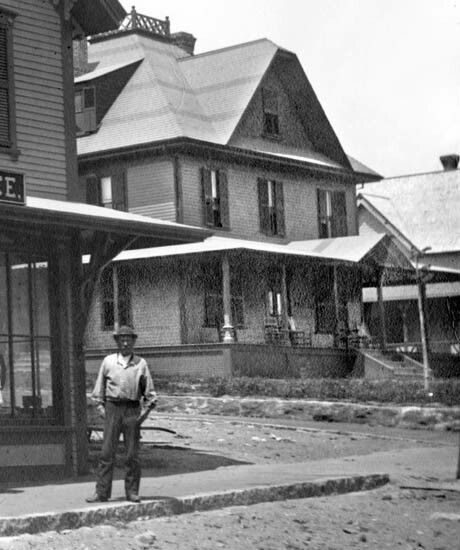 He was called a Tisbury grocer in 1915, and was living in Oak Bluffs in 1922. He appeared in the 1920 Oak Bluffs census as a grocery store merchant. He was living in New Bedford and filed for bankruptcy there in 1932. He later was employed as a meat cutter at the First National Store in Edgartown. In 1908 he married Mary P. Monahan (1890-1927) the daughter of Patrick J. Monaghan and Bridget Donahue of Ireland. She was born in Shenandoah, Penn., and died in 1927 of accidental burns. BW: Well, old George Alley was a meat cutter. Worked in the A&P for many years. I don't know much more about old George than that except that he was one of the Alley Brothers who at one time owned a store in Montgomery Square in Oak Bluffs. SL: They also had one in Vineyard Haven, where Cronig's Real Estate office is. BW: Really, George was a meat cutter all his life. SL: I guess he was. In March 1917 the Gazette reported that "the Public Market, so called, has been closed up, Alley Bros. returning to Oak Bluffs." Circa 1919. The corner store was still the Barnacle Club at this time. Left-to-right: Tebby Cronig, Bill Pachico, Ed Cronig, ? Pachico, Laura Baptiste, Laura Bunker, Sam Cronig, Henry Cronig, ? After 1923. For a short period prior to 1920 Mrs. Isabel DeNormandie ran a small shop here selling hats, and in February 1920 Castello had DeNormandie's shop "rearranged to suit the requirements of a newspaper office, The News, Mr. Schultz's local paper." 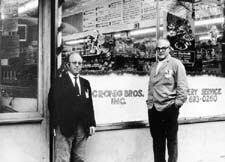 The Cronig Brothers grocery was founded in 1917 by four brothers, Sam Cronig, Ed Cronig, Theodore "Tebby" Cronig, and Henry Cronig. They were four of the ten children of Lithuanian farmer and shopkeeper Morris Krangle (c.1861-2  1940) and his wife Lizzie/Lilly/Leah Novick. The family farm was outside of Vilna, Lithuania, "far out in the country." Lithuania was a part of Russia when the Krangle boys were growing up, and their family lived in an area near Vilna which in 1904 became part of the Pale Settlement, an area established by the Tsar to which Jews were relocated and legally restricted (and which later became the origin of the phrase "beyond the pale.") The Russian pogrom of 1903-06 resulted in mass Jewish emigration to western Europe and the United States, including members of the Krangle family. Samuel Louis "Sam" Cronig (1889  1959), the eldest son, was the first to emigrate, as the Russian-Japanese war had recently broken out and he was approaching the age of compulsory military service. Sam left Glasgow, Scotland on the vessel Numidia and arrived in New York City in November 1904. He was given the name "Cronig" by the immigration officers; Sam later instructed his siblings what their new surname was to be upon arrival in this country. For nine months Sam worked in a plumbers' woodwork factory making wooden bathroom fixtures, until the wood alcohol in the polish poisoned him and he was forced to quit. For a time he visited friends in New Bedford, and while there he saw a newspaper ad for a farmhand placed by Capt. Hiram Daggett of Eastville. Sam arrived on Martha's Vineyard about 1905-6 and he is said to be the first person of the Jewish faith to move to the island. He worked first as a farmhand in Eastville at the farm of Capt. Daggett, where he learned to read and write English. He worked here for about a year, then turned the job over to one of his brothers, whom he had arranged to come over from Lithuania. Sam reportedly left the farm to work first for the Look, Washburn, & Co. grocery (see Site #___), then the Bodfish & Call grocery (see Site #35), and then for SBS after the groceries merged in 1910. He was also said to have at one time worked at the St. Croix Oliver store, on the corner of Water and Union streets. He appears in the 1910 census of Vineyard Haven as a 21-year-old "grocery store salesman" living with his brother Edward. The 1910-11 Vineyard Haven directory lists him as a "clerk" working for William P. Bodfish on Union Street, and boarding on Howard Ave. His April 1910 naturalization papers also lists him as a "clerk." June (Cronig) Kapell said: "The people at SBS were very good to them. They employed all the brothers." By 1914-15 Sam, Ed, and perhaps Tebby had left the island and bought a farm in Rochester, Mass. for $3500. Henry came in 1914 or 1915 but left for Martha's Vineyard to work for Sam's former employers, the SBS Co. He eventually convinced his brothers to return to the Vineyard. In 1917 Sam, Ed, Henry, and Tebby opened their own grocery. Sam was married to Elizabeth "Libby" Levine (1890-1974). She was born in Lithuania, the daughter of Louis Levine of Lithuania. She immigrated in 1911 and was naturalized in 1912. Their children were David (1914-), Carlyle (1916-), Anne (1917-1999), Robert (1918-) and Ruth (Stiller) (1922-). Walter Renear wrote: "Sam Cronig along with some brothers ran one of our grocery stores. When I was less than two years old I escaped from my mother's notice and walked to Main Street where Sam saw this little boy in pajamas (those one piece stocking footed rigs) go by his door. He recognized me and put me into the front seat of his delivery Model "T" and took me home - I was quite proud of being the center of attention waved to all passersby." SL: Sam Cronig. Do you remember him? BW: Yeah, not too much. I know he was one of the Cronig Brothers of Cronig's store. He lived up on Centre street. I really don't remember. He was short, and stocky, and very strong I know  all those Cronig fellows were. But I don't remember too much about him. SL: Sam was the first one of the Cronigs that came here. Came here and worked on a farm, somewhere over in Eastville I think. 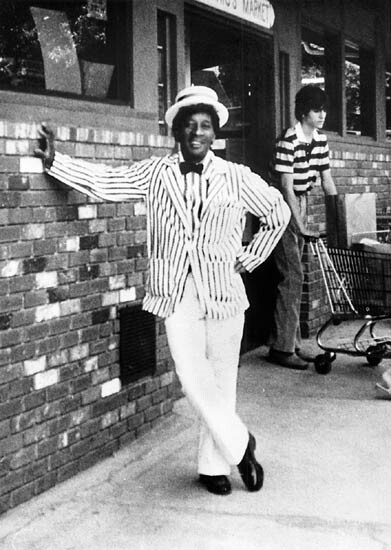 And he got to working for SBS grocery store, and then finally branched out on his own and opened up the Cronig's grocery store which is right about where it is now, but it was much smaller. BW: Was he the one that smoked cigars, or was that Tebby? One of them used to smoke. SL: Eddie! Eddie smoked cigars. BW: Did he? I remembered one of them used to. SL: I guess Tebby did too, yeah! But they all were industrious and worked hard, and some of them went back to New Bedford and opened a store there I believe. 1919 marriage. She also died in Canton. Theodore "Tebby" Cronig (1896-1978) evidently came to the island around the same time as Ed did. 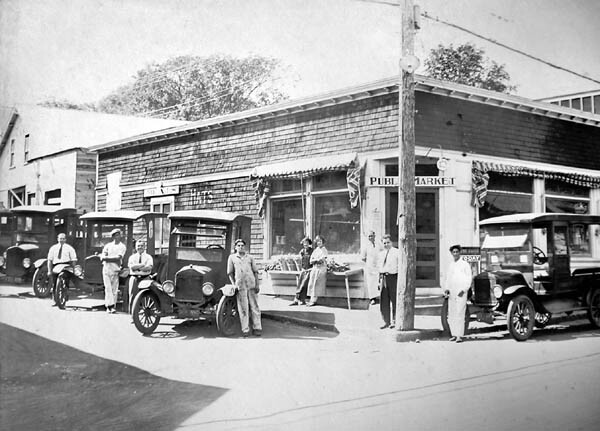 By 1943 Tebby had left the island and opened his own grocery in New Bedford, the "Summer Street Market" which he maintained until his retirement. He died in North Dartmouth. He married Tillie Brody (1901-1986) in 1921. She was born in "Poland", the daughter of Abraham Brody and Dora S(?)ouioudlka(?). She was working in New Bedford as a "sales lady" at the time of her 1921 marriage. She died in Dartmouth. Their children included Doris (Cronig) Rosenfeld (c.1923-4  1998) of New Bedford, and Alvin Cronig of Cleveland Ohio. Stan Lair said: "Tebby Cronig. Tebby was in the meat department most of the time. He was a meat cutter. He moved away, before most of them, I guess. Finally he and Eddie wound up in New Bedford, I think." Henry Cronig (1899?  1972) came to the United States in July 1914 and to Martha's Vineyard in May 1915. He appears in the 1920 Vineyard Haven census as a single man living with his brother Samuel's family, and is listed as a grocery store salesman. He founded Cronig's Real Estate, and also ran a gas appliance business (see below.) He married Mae Weiner (1897-1986) in 1921. She was born in Vilna, Lithuania, the daughter of George and Cassie Weiner. She lived in Cardiff, Wales before emigrating from Southhampton England on the vessel Acquitania which arrived in New York City in Dec 1920. She was working as a stenographer in New Bedford at the time of their 1921 marriage. Their children are Shirley (Cronig) Smith (1923?-), June (Cronig) Kapell (1925-), and Carole (Cronig) Abrahams (1933-). The only other Cronig sibling to come to Martha's Vineyard was Tillie Cronig (1900-1995) who married David Colinsky/Kalin. (See Colinsky's Department Store, below.) The other surviving Krangle/Cronig siblings were Sydney Krangle, who was deported for entering the United States illegally from Mexico, spent time in prison, and eventually settled in South Africa, where his descendants live today; Yankell "Jack" Krangle, who was the last brother to leave Lithuania and ultimately died in Israel; Celia Cronig who married ____ Gordon and settled in New Bedford; and _____ Cronig. Lithuania declared independence in 1918, but was controlled by Poland from 1920 until 1940 when the USSR forcibly annexed Lithuania. During the German occupation in World War II, Lithuania's Jewish population was virtually exterminated. escaped. 'All Lithuania has been burned flat,' said the letter." In March 1917 the Gazette reported that "Our young citizens, the Cronig Brothers, have taken the store just vacated by the Alleys who have moved to Oak Bluffs." Henry Cronig wrote for the Gazette in 1964: "I told [my brothers] that the farm was no good, that the grocery business was wonderful, and that the Vineyard people were the finest on earth. I begged them to come back. Well, they came. Sam had married, and kept house on the top floor of the S.B.S. building. The rent was $15 a month. Ed and I boarded with him and we all worked for the S.B.S. My brother Tebbie was working in New Bedford. We all remained there until 1916. In the meantime I had saved up $253 and had some better clothes." "George Alley had a little grocery store almost on the site of my present office. He gave it up, and William P. Bodfish of the S.B.S. bought the stock and fixtures which weren't much. At the beginning of 1917 I told my brothers that I was going to open a store of my own, with my $253. They thought it was a joke, but in the end they agreed to go in with me. "We went to Mr. Bodfish, who also felt sure that it was a joke, but he sold us the fixtures from the Alley store, and then we went to the wholesalers, Driscoll, Church, and Hall. We had, together, $750, and Driscoll, Church, and Hall, knowing us, gave us $500 for our first order. We bought a wagon for $10 and a horse for $30, and we opened." "It was a sorry-looking store. We piled everything we had on the shelves in order to make the best showing possible, but two shelves were filled with toilet paper, and we had to line up our packages of breakfast foods on the front of the shelves to conceal the empty space behind. But we began to do some business. I know today that people were sympathetic toward a bunch of young fellows trying to do business on a shoestring. They bought from us, but the charge accounts hurt. The customers ate up our stock and didn't pay soon enough. In a month, things were very bad., and even the best customers didn't pay cash. " "And then one day, when things looked the worst, Ed Symonds came into the store, a very mild-mannered and soft-spoken man, a carpenter. He said: 'Can you boys use $500? You don't have to sign anything, you don't have to pay any interest and you can pay it back when you can!' Could anything have been more wonderful? It was the biggest thing that ever happened to us, and we redoubled our efforts." "Believe me, we didn't take home any steaks. We had the poorest cuts of meat, the wilted vegetables, anything to make up into a big stew. Nobody drew any salary. If one of us needed a pair of shoes the store paid for it, for we had no money at all. But things improved, and soon we needed more help. We sent for Tebbie, and he had a couple of hundred dollars to put into the business. We needed that too, but things kept picking up." "All this time, I was the outside man, picking up and delivering orders. I went to my former S.B.S. customers, the finest in the world. I would say, 'The S.B.S. is a wonderful store, and I wouldn't ask you to take your business away from them. But we have a special on spinach today, wouldn't you like some?' Probably they would order it, and as we planned to have a special every day, they ordered other things. Some of them came over to us altogether, but I never said one unkind word about the S.B.S. They had treated me well and I never forgot." 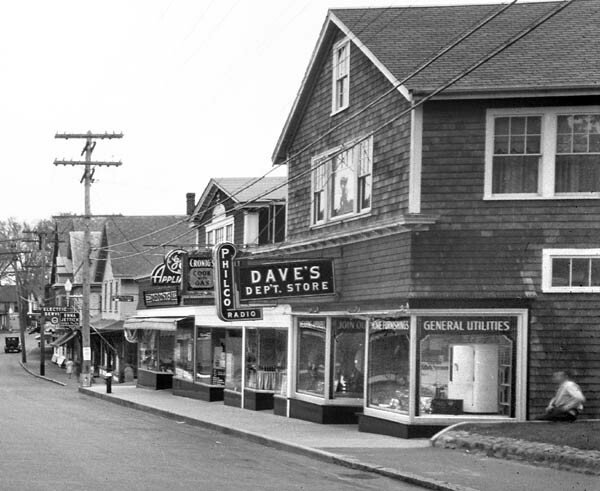 "In 1920 we bought the Highland Market, now Church's, in Oak Bluffs., and in 1922 we bought a grocery store in New Bedford. In 1923, we had fifty-one people on our pay-roll besides ourselves. But neither the Highland Market nor the New Bedford store paid, and we sold them both, and concentrated on the market in Vineyard Haven. I was still the outside man, but there had been changes." 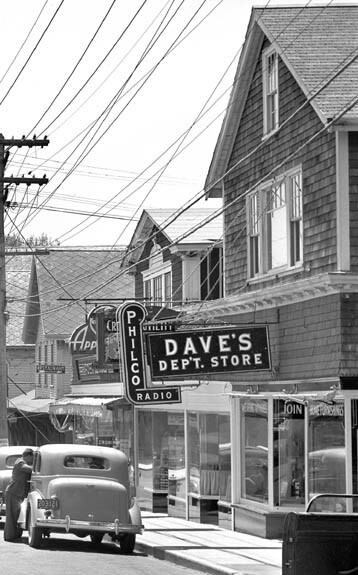 In its early days, Cronig's was known variously as "Cronig Bros. Public Market", "The Public Market" and "Vineyard Haven Public Market." In March 1918 the Gazette reported "The Cronig Bros. have rented another of Mr. C's row of stores on Main Street for enlargement of their present place." In October 1919 The four Cronig brothers (Sam, Tebby, Ed, and Henry) bought a property in Oak Bluffs from the SBS Co., on the east side of Commercial Ave., near Lake Anthony. 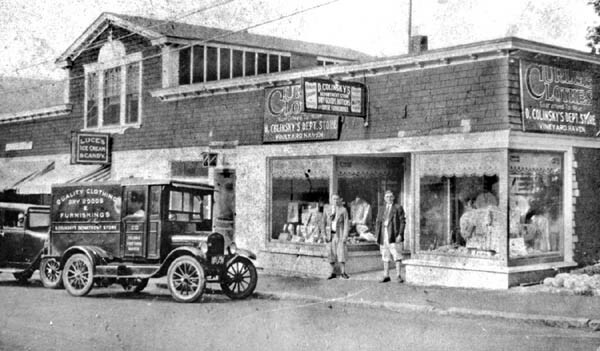 In the summer of 1920 the Gazette reported that Cronig's Bros. had opened a branch store in Oak Bluffs. 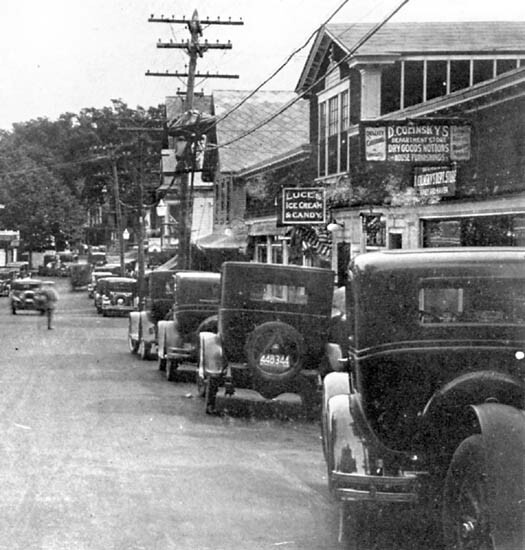 In the summer of 1921 it was referred to as the "Oak Bluffs Highland Market." 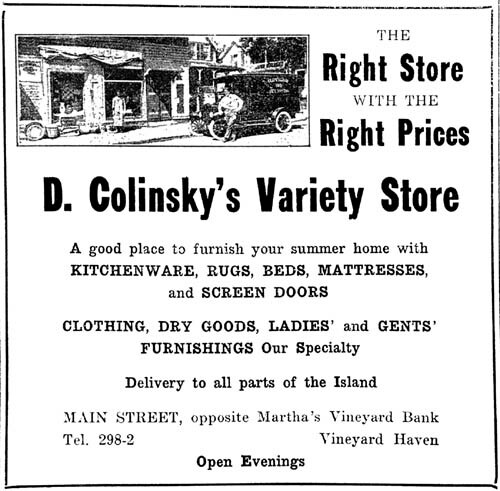 They again had a store in Oak Bluffs for the 1922 season.
" They advertised "our Travelling Grocery" offering items "at store or from the car." In the early days, Henry Cronig did the deliveries. SZ: What is the story of [Henry] delivering to Hines Point on a bicycle? JK: There was a footbridge, and he had a bicycle, and a mosquito got him. He went over in the drink! JK: Another time he was coming down Skiff Avenue, I think he had the horse and wagon. I don't know, it may have been a car. And he almost didn't stop in time. It was just going awful fast. But that one he did not end up having a bath. JK: [Deliveries] went up to Gay Head. They went all the way around the island. RS: That was before my time. JK: Once or twice a week they would make the circuit. SZ: I only think of West Chop. RS: Ed would go down to West Chop and have coffee with all these cooks and write their orders, because he liked to do it. He didn't have to do it, he liked to do it. And then he'd bring orders back. We would all run our tails off collecting the groceries. In January 1923 the paper reported that Samuel Cronig, the "head of Cronig Bros. firm", bought Castello's Block. In fact, all four brothers (under the firm name of "Cronig Brothers") had bought the 135' by 90' lot from Harry's wife Caroline F. Castello together with a $13000 10-year 6% mortgage from her. Once the Cronigs owned the building, many changes were made. In May 1923 the Barnacle Club moved from their location on the corner, and Cronig Bros. moved their grocery into the former club rooms. In November 1924 Cronig Bros. opened a new "Hay + Grain Store." It was from part of this store that Henry Cronig later carved the space for his first real estate office. In March 1926, an electric refrigerating plant was installed in Cronig Brothers market, and in December 1926 the Gazette reported that "Mr. Cronig's place of business has in the last two weeks been greatly improved by a handsome front entrance and artistic door." By June 1928 Laura E. (Baptiste) Henley (1898-1972) was working in the office of Cronig Bros. store. She was the daughter of Azorean immigrants Joseph C. Baptiste and Mary Isabel Bettencourt. Laura Baptiste was eventually replaced by Laura Bunker in the office, but for forty years a "Laura" did the orders. In May 1930 Sam Cronig was injured in a fall from a car. Three months later he was injured again while inspecting a truck outside the market on Church Street. Louis Maciel had been sitting in a Cronig's truck when a milk truck driven by Harold West hit it. Sam was badly bruised after being pinned between the two trucks. In November 1930 the Gazette reported that "Reconstruction work has begun on the building occupied by Cronig brothers, on the Church street side. It is being divided into two stores, each with a frontage of about thirty feet. It is possible that before the work is over another story will be added to the Main street side of the building." In January 1931 the roof was raised, and David Colinsky's store temporarily moved around corner on Church street. A cellar was added and a second floor for an apartment was added on the north end of building. In June 1931 The Cronig Bros were described as "Sam, Ted, and Henry." 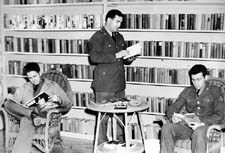 Henry Cronig wrote in 1964: "At first, I had been obliged to memorize the orders I took and have our bookkeeper write them on the slips. She was Laura Baptiste, now Mrs. Ted Henley. But I was picking up orders in Vineyard Haven and Oak Bluffs, and then I had a wagon built in Springfield, and I had a grocery on wheels. Three times a week I went to Edgartown and sold from the wagon, and all went well from then until the A. & P. store opened across the street from us. It wasn't bad, because they had no meats, but I began to hear and read what they were doing elsewhere and it seemed to me that it marked the end of the small market grocery. So I sold out to my brothers." In June 1933, Ellis H. Manter's store building was bought by Dr. R. F. Marchant and sold to Henry Cronig. The building was moved to Church Street, behind Cronig's block, by Harry Horton. 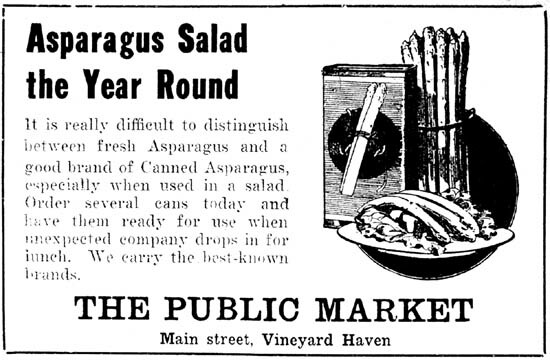 By August 1933, Cronig Bros. was also advertising as a "Pioneer Grocery." Evidently they were the local representatives of this national grocery chain. just before the hurricane of '38! It all went out  the electricity went out and everything was ruined! We had to give away all those frozen packages of Birdseye. People didn't even know what they were! We had trouble giving them away!" JK: I mostly see [Sam] cutting cheese. Ed waiting on trade. He liked to talk to the people. Tebby was very quiet and he stayed in the back and put up orders. The meat was all cut to order. RS: Mrs. Gibson would come in the front door. "THEODORE!!" Oh, she had a loud voice! He didn't care. He didn't go out. She had to come to him! Sam Issokson said: "There were four brothers at first, Henry, Ed, Sam, and Tebby. And then Henry went into the real estate business. 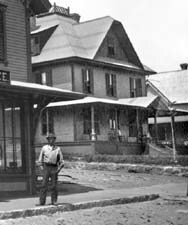 The others stayed and finally Tebby left for New Bedford and started business over there, a grocery. And Carl never worked there much if any, and also Dave, that was the son's name. Robert is the one that stayed, and he ran the business finally. When I was working there was just Ed, Tebby and Sam, and Robert, and the other hired help like John Pachico, Bill Pachico. There was a fellow used to work downstairs like stacking shelves, and putting up, bagging potatoes  they only bagged potatoes fifteen pounds to a bag, that'd be a peck, and then the half peck would be seven and a half pounds. I don't know where they got 'em, [they'd] ship it in. And also had beans and things like that I used to bag, they never came in packages. [For deliveries] they had a fellow named Figueredo, Eddie Figueredo? I'm not sure of his name. He was a serviceman. I think he got injured or killed. Somebody else can tell you better than I can. I used to sometimes package things, or put things on the shelves, back shelves. Sometimes I'd wait on trade." "Things were different because there was a space on a table or something in there and it was available they'd put the order up on that table and bag it there. I was thinking how they'd take the money, they brought it to the office? Or they made out a slip and paid them right there? And the clerk would take the money to the office. Just how they worked that out. They didn't have a long counter like all the other stores do. You tell them you wanted a package of beans or a package of corn flakes they'd run and get it and bring it to you  they used to have that at the First National, I remember. But we only a site and it was cleared they'd prepare the order or else they'd call up and order over the phone and the clerks would fill the orders and they'd put it in a box and then out to the truck and they'd make the delivery. They had two [deliverymen], one for the West Chop and another one for the other side. They'd change every now and then. Sometimes when they were short I used to go out. I can remember taking down a small order on a bicycle to West Chop. I didn't have my license then." The Pachico brothers  William G. "Bill" Pachico (1901-1961), John Augustus Pachico (1903-1972), Charles Jenipa "Charlie" Pachico (1905-1926) and some of their other brothers - did most of the deliveries. They were the sons of Azorean immigrant Manuel G. Pachico and his wife Louise Delphina Texeira. Ruth (Cronig) Stiller compares the hiring of the Pachicos by the Cronig brothers to the hiring of the Cronigs by the Bodfish brothers. "Well it's just like the brothers employed all the Pachicos. 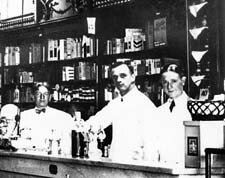 All the brothers  there were about six brothers  and they all worked at one time or another at our store. I remember them. They were happy to have jobs. They lived right across the street." June Kapell adds: "Every time I go to John's Fish Market I think of the original John." BW: John Pachico was one of the brothers, Bill, Frank, Joe. John - I think he worked in Cronig's Market for way back in the beginning, when I first remember. Later on I guess, pretty close to around the late forties, mid-forties, somewhere in there, John bought a little building somewhere and set it up right on the corner of what is now called Lagoon Pond Road. It'd be right in the parking lot on the corner of the post office lot now. He set up a little building there and started a fish market, John's Fish Market. And he ran it for many years, he ran it right up until he died. He used to do a lot of shellfishing. One thing or another. And when he died, his son young John, sold the property to Mike Fontes, and he put up the IGA store there, and they built a new fish market up on the State road., which is still there. SL: You know when John first put his building there he didn't own anything there  he just squatted, squatter's rights I guess. BW: I guess it was a black piece of land. Unowned piece of land, I guess, and he just set on it and claimed it as squatters. In January 1940 the Gazette reported the remodeling and removal of the restaurant in the rear of the Cronigs Bros. market, and the opening of an addition which added floor space to the market. 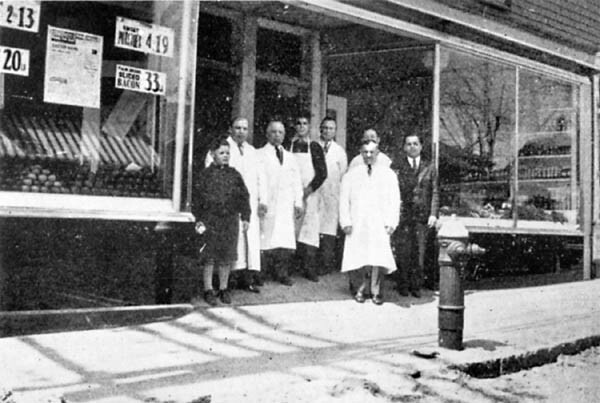 In March 1940 it was reported that he building in the rear of the store had been connected to form a new and larger structure. By 1943, Tebby Cronig had moved to New Bedford and opened the Summer Street Market. He is listed as the proprietor of this market in the New Bedford Directories starting in 1943. In 1946, Sam's daughter Anne Cronig (1917-199_) began work at the store. She said in Vineyard Voices, "My father said he needed me to sit at the cash register. And then he would take over if I wasn't there. So that was kind of the start of the check-out business." JK: And David, I can remember David scurrying around putting up orders. Nothing was self-service, you always had somebody there to run around for you. And so you did that. And then you'd total it up on a bag. One girl we hired one summer, she couldn't do it. I felt so bad. She just couldn't do it. It was too many figures. And so we just couldn't keep her. We never had anything like an adding machine. SZ: "[Anne] was in the office. She was the bookkeeper." RS: "We had one little bitty cash register out in the back where the cheese was. It was right next to the cheese which you cut. I learned to cut a pound right on the dot. And I would get annoyed because somebody would come in and buy a couple of peaches and I had to walk all the way back to make change, all the way back. Finally, oh many years later, I think they put another one, but it was a small cash register." SZ: "We used to come to hear Katherine Cornell order her meat." RS: "She was so sweet. She brought everybody in that she had visiting her to meet us. I have a picture I took of Lawrence Olivier  well I was going to take it, I had a little box camera, for some reason it was in the store. I think maybe you were coming over and I was going to take pictures. So he said 'let me do it myself' and he held it out. I still have that. RS: One summer after the war all five of us [children worked at the store]. When Carly was just out of the army he didn't know what he wanted to do. He had thought he wanted to go to Harvard to get a law degree, but he said 'Aw, I'm so much older than they are.' So all five of us were in the store right after the war because it was hard to get men. Very hard. We worked like men. SZ: What did Carly do, just wait on trade? RS: Like we all did. Or put up orders. You know, we took orders on the telephone. I got so good, because the first day I started, this Laura, she was crosspatch when you first started then when you got to know her she was okay. I wrote three pads of groceries, and I didn't get a name! The women were used to hanging up! So she called around to the different cooks, because she recognized what they bought, and after that I knew the name of everybody! Well I recognized voices. World War II rationing put an end to the twice-daily local deliveries. RS: It got a little hard after the second world war when you couldn't get gas. We started cutting down on the one yeast cake delivery, you know. We went to once a day then, and then we had to cut way back. I think it was once a week, twice a week. We just couldn't do it. We couldn't get the gas. I still have the little ration stamps from the war, the food ones. I got invited to more teas at people's houses! One woman was so thrilled 'cause I'd sell her the sugar and the butter  she loved to bake, a big fat woman that worked for summer people  that she invited my dad and I to tea! And I didn't take any sugar or butter, but I felt guilty eating her cookies! RS: We couldn't get meat [during World War II] whether you had the coupons or not. We just couldn't get it. Because one time a woman came in, and she was so mad. They had butchered a little little calf, and it was hanging in the window to age a little bit - it was just that day. And she was scolding us because we wouldn't give her any of the calf, and I said you can't, you can't the very day. It would be tough  it has to age  even a calf. She didn't want to listen. JK: We used to go over to Nomans Land sometimes and buy cattle. SZ: They had a slaughterhouse in the woods [by the waterworks.] Robby did the killing with my father [Henry] and John. RS: And then they would bring it in on hooks. And the ice thing would go around a track and go into the refrigerator. JK: [Henry] and Tebby were the butchers. They learned this as kids at the farm. RS: My mother said, 'the meat that comes from our slaughterhouse is cleaner than the meat that sits on the dock at Woods Hole waiting to come over on the boat on a hot summer's day. Sanborn Road? It's down in back of the SBS, down one of those streets. I'm not familiar with it now. I used to push the blood[?] down the pits there. Used to slaughter them, cut their throats. I used to go up island and bring back calves, and bring them to the slaughterhouse. That was during summer vacation. [The butchers] were very good. They were well-known for the meats. Like hamburg, and ground meat, you know. Ed or Tebby used to do most of the [meat] cutting, and Robby learned the trade very well, and summertime they used to have Mr. Moore, worked there several years. I don't know where he was from. " During the 1950s, Arthur E. Rodgers (c1910-11  1968) was the manager of the produce department. About 1957, Samuel Cronig retired and the operation of the grocery was turned over to Sam's sons Robert Cronig and David Cronig, who had been working at the store since 1946. By 1967, David Cronig's college-student sons Jeffery Cronig and Donald Cronig were working at Cronigs, as well as Robert's son-in-law John Morris. In 1976, Bob and Dave Cronig built a second, larger supermarket on State Road. They sold it ten years later. 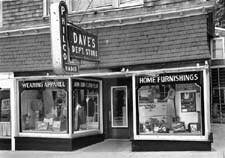 Bob and Dave Cronig sold the downtown business in 1980 to Bruce Levett and Ron Tolin, and Levett managed the business for a few years. Father and son John F. Schilling and John L. Schilling took over the management of Cronig's downtown market in 1984. Unable to compete with the larger supermarkets, Cronig's Main Street Market was finally closed on October 26, 1989, and the building, owned by Carlyle Cronig, was converted into smaller retail shops. Cronig's State Road Market continues in operation today (2001) under the management of Steve Bernier. David Wade outside Cronig's Main Street Market. Late 1970s. In November 1919 Walter Norton sold his ice cream business to Leroy Luce "of the Wayside Farm milk and cream station on the South Road." 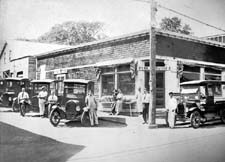 Luce's ice cream and candy store remained here until the spring of 1935, when it was moved to the "Double Decker" building on Union street. Connie (Downs) Leonard said: "Oh that was very nice. They had wonderful ice cream. And they made candy. I think they thought the location was good. It was a nice store. They did very well. I think his wife was the power behind the throne - maybe he cranked the ice cream or something. But it was a very, very nice ice cream store. And I remember they had something called 'Caramel Almond Sundaes'  ohhh, to die for!" Petersen's Ice Cream opened in its place with Clara B. Chipman, hostess; and Edith H. James, proprietor. Their ad always included the line "Reserve the Balcony for your next bridge party." In June 1923 Whitney's Variety Store, operated by Howard Whitney, moved into a store in Cronigs' Building. It was a 5 and 10 cent store and sold kitchen utensils, cook stoves, fireworks, and other items. In December 1923 Raymond Baptiste, dressed as Santa Claus, accidentally set himself on fire in Whitney's shop. He was severely burned; a near fatal accident. Prior to serving in World War I, Whitney worked at Walter Renear's garage. His store evidently lasted less than a year, and Whitney eventually returned to work at Renear's Service Station on Church street. Stan Lair wrote on this photo: "Colinsky's Dept. Store is now Cronig Real Estate. He was called $2.98." 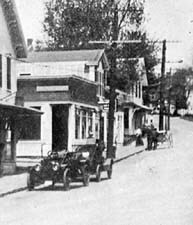 This photo was taken before the second story was added on the north end of the building in 1931. Walter Renear wrote: "The first 'city-style' department store was "Colinsky's", across the street from the Bank - where Cronig's Real Estate office is now." Tillie Cronig (1900-1995) was the sister of Sam, Ed, Tebby, and Henry Cronig. She married David Colinsky in 1924. They eventually lived over his store. Colinsky (c1900-1 - ?) was born in Bialstok, Russia, the son of Samuel and Sarah Colinsky. He is listed in the 1919 and 1921 New Bedford directories as a clerk. In 1922 he opened "Colinsky's Branch Store" next door to Billy Andrews' barber shop for one season. (His main store was advertised as being in New Bedford.) He is described as a Tisbury peddler in his 1924 marriage record. Colinsky is remembered for his failed businesses, the money he borrowed from his in-laws, and perhaps questionable business practices. SL: David Colinsky. "$2.98" is it? BW: Yep. They used to call him "$2.98." He probably was the originator of sales  instead of making something an even three dollars, it sounded better if you made it two ninety-eight. 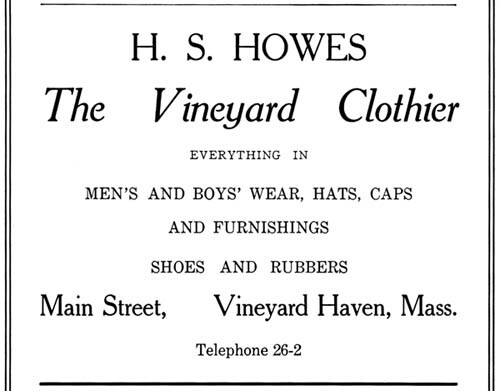 He had a clothing store, and he also sold appliances and stuff, on Main street in Vineyard Haven, around where Carly Cronig's real estate office is now. I think, and probably you know, I think Dave Colinsky's wife was a sister to the Cronigs  Henry Cronig and Sam and Eddie and the rest of them. And I think they probably set David up in business, but he didn't last too long. Well he was here for a few years. SL: He changed his name when he left the island. To Kalin or something. BW: Kalin, yeah. He went to Providence I think, didn't he? SL: I think so, yeah. David was quite a character. BW: He was his own worst enemy, though. He put himself out of business. SL: He used to live on the corner of Look street and William. I don't know who lives there now. BW: I don't think anybody would actually say he was crooked, but he couldn't walk or talk or write in too straight a line either. Sam Issokson said: "Colinsky carried a line of refrigerators, Kelvinators, and other goods including radios. I used to watch the radios being serviced. Colinsky sold Philcos. He had a lot of stuff there. Philco radios and clothing, rugs, most anything you want he'd have. He was there ever since I can remember. I'd say from the early twenties right through to the war. He was a card. He was evasive. Well, he had a whole store full of merchandise, and the next thing you know it'd be gone, and he'd file bankruptcy. He'd hide all his merchandise in somebody else's barn. Then he'd take it back in after the bankruptcy and sell 'em. When they got to know him real well he changed his name to 'Kalin.'" RS: "He went into everything. When our barn burned down the upstairs was full of his tires. He did well. His wife helped him, she was popular, and they did well. But he had a restless nature. He was always buying something else to sell. He got scallops one year, he wanted to mail scallops. Well he lost hundreds of dollars on the scallops. The mail was slow. And he didn't use his head sometimes. My mother used to get very annoyed with him. He kept buying houses and more houses and more houses, and my father would sign for it. SZ: [Tillie] kept the store going, with her niceness. RS: In the hurricane of '38 they let us out early from school at noon, and Shirley [and June] and I went down and she was working, and we said 'can we borrow slickers?' and we went down to Owen Park and watched! 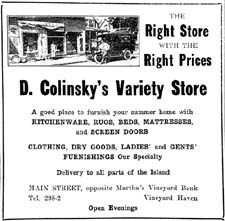 In January 1924 Whitney's store was sold to Colinsky and reopened as D. Colinsky's Variety Store. He carried clothing, dry goods, and house furnishings. By March 1926 it was being advertised as Colinsky's Dept. Store. In October 1926 he held "Colinsky's 5th Anniversary Sale." In February 1928 Colinsky signed a 10-year lease with the Cronig Brothers for the 20'x50' premises "formerly occupied by Cronig Brothers as a market" as well as the second floor of "the iron building on Church street." The rent was $40 per month. In April 1930 Mary Borges was clerking at David Colinsky's department store. Lillian (Perry) is also remembered as worked at Colinsky's. 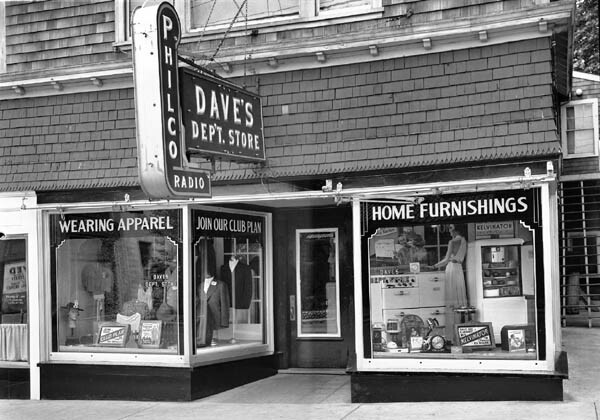 By May 1936 the store was known as Dave's Department Store. In the late 1930s he advertised radios, washers, and Kelvinator refrigerators. In January 1940 he held a "closing out sale" offering men's and women's clothing, shoes, hats, household articles, radios, electrical goods, rugs, and many other goods. David and Tillie Colinsky left the island during the war and eventually changed their name to Kalin. They were living in Cranston RI by 1959. She died in Warwick, RI. Walter Renear wrote: "In the aerial photo I took (late 1940's or early 1950's) there appears to be three buildings between the north side garage and Cronig's. One was Caton's Gas Appliance and one was the famous bakery (Stam's) and restaurant site. But, the third, if indeed there is a third, eludes me. The building that became the Island Color Center moved from the back of Cronig's lot to front on Church Street for several years before leaving that area. In what is now the parking lot for Cronig's Block, that is on the north side of Church Street between Renear's Garage and Cronigs corner building. While at this site it was the used as restaurants for 'Ma Block' and 'Jennette's' and may also have been one of the locations of 'Stam's Bakery.'" A restaurant was located just behind Cronig's on Church street for many years. In May 1924 the Cronig Brothers, through Henry Cronig, agent, leased a lot of land in the rear of their block, on Church Street, to chef George E. "Mac" MacNeil (c.1876-7  1952) of Oak Bluffs to erect a restaurant. It was a five year lease, and the rent was $12.50 per month. 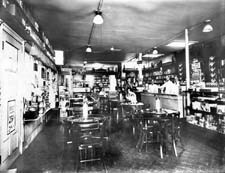 In September 1924 he opened Mac's Café on Church Street. It was operating here until at least 1928. 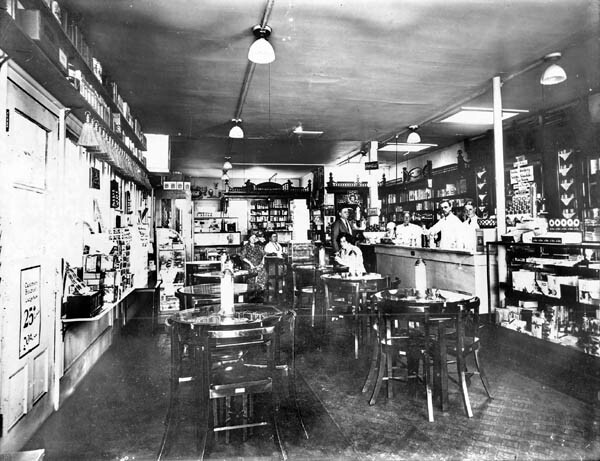 By 1930 the restaurant had become LaBelle's. 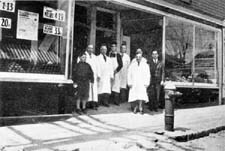 In May 1930 a fire gutted LaBelle's restaurant. A wind from east threatened an adjoining building used by Briggs' stores as storage room. 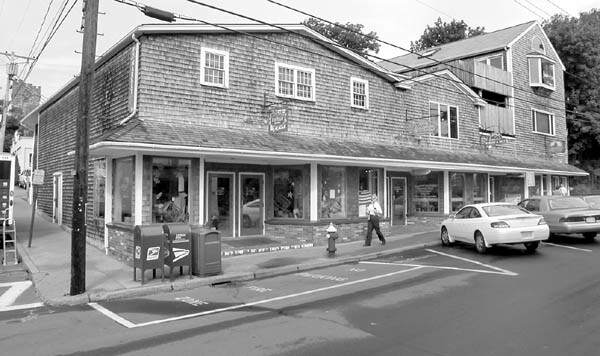 On the east side of the restaurant was a building the paper described as containing the Vineyard Haven Public Market, Leroy Luce's candy store, the office of Henry Cronig realtor, and the store of David Colinsky. The store was described as having a nearly flat roof covered with tarred paper. By Jan. 1931 LaBelle's restaurant and bake shop was once again advertising on Church Street. In November 1931, Martha LaBelle sold the restaurant business to Walter Kennedy for $750. Jeanette's was at this location during World War II. Betty Kerns was a waitress here. Ruth Stiller: "Jeanette's. She was a French woman. I don't remember her last name. But it was a good restaurant." June Kapell: "We were in Jeanette's when we heard about Pearl Harbor." Ruth Stiller: "The reason I remember it was during the war was bacon was not available and I loved bacon. So one night I went there for supper because we used to do the bills at night, we worked at night, and I said I'd like bacon, and she said you can only have bacon with liver, just liver and bacon. So I said okay, and I left the liver and ate the bacon. I never forgot that. In June 1949, Penney's restaurant, at this site, changed its name to "The Town House" under the management of Fred O. and Mary C. Melchior. After the war building was moved to Lagoon Pond Road, where today (2001) it is occupied by the paint store. Harry Ossman (c.1881-6  1958) had a shoe shop located behind Cronig's, next to the restaurant, during the early 1930s. Ossman was a Russian-born Jewish shoemaker, the son of Eleazer and Mary Ossman of Russia. According to his obituary, he left Russia "to escape service in the armies of the czar, where, as he said, Jewish men were badly treated not only by the officers but by their associates in the ranks. He had lived in Northern New England before coming to the island." Sam Issokson said: "Ossman had a shoe repair shop between Cronigs block and the electric company, Renear's Garage then. Colinsky rented the Church St. shop to Ossman. Colinsky and Brickman were feuding - from what I remember Colinsky carried clothing and Brickman didn't like it. Colinsky was being spiteful bringing Ossman to the island. One of Brickman's quotes....you can't put good times in the bank. Ossman moved from Church St. to where Mosher Photo is now." In August 1946 a new shoe store, the Vineyard Shoe Store, was reported to open in Cronigs Block at the former location of Vineyard Utilities. The new proprietors were Edward W. "Eddie" Krikorian and George Costa, both ex-servicemen. Krikorian had been in the Navy, and he later married Gloria Rogers. 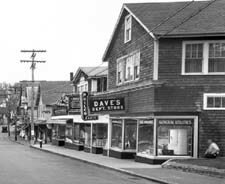 In October 1946 the Western Union telegraph office was reported to have "installed" for the winter in the Vineyard Shoe Store on Main Street with David Golart in charge. From January 1950 until at least May 1954 the Vineyard Shoe Store, "opposite the bank" ran ads in the Gazette offering "X-Ray fitting." Ruth Stiller remembers a record store, after the war, in the Cronig Block. SL: Roger Amidon . Do you remember him at all? BW: Vaguely. I remember him somewhere on Main street, had a store. SL: Yeah. He was selling Freed-Eisemann radios at one time. BW: Yeah. Did he go to Cape & Vineyard afterward and sell appliances? SL: Yeah I think he did. Another time he worked for George Cary when he had a store across from the bank, in the Cronig block now. BW: Yeah, maybe that's what I was thinking about. Somewhere along there he worked. I remember kind of a big man, had a little pencil line mustache. SL: Yeah. Quite a ladies man. BW. Yeah. So I heard, I didn't know! SL: He also was a pretty good radio repairman. I think he originally came from up island somewhere  West Tisbury or someplace. North Tisbury. Walter Renear writes: "Roger Amidon. Dealt with radios. He wasn't there very long." 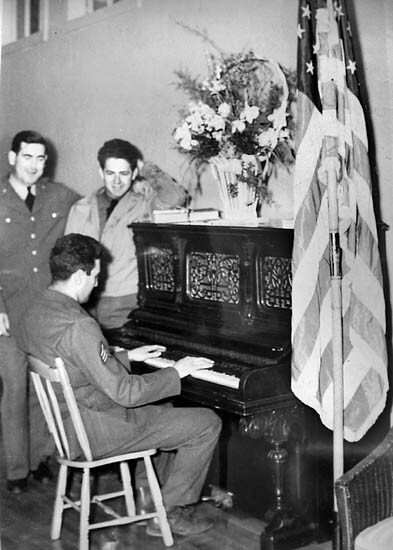 Sam Issokson said: "George Cary ran a GE appliance and radio store with Roger Amidon just before World War II." 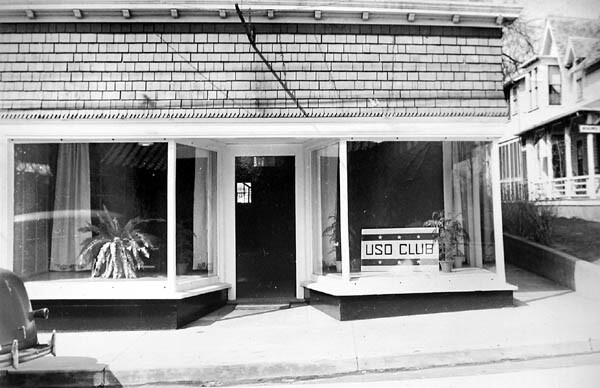 Shortly after David Colinsky closed his department store on the upper end of Cronigs block, it became the USO Club. During the war years, dances were held and films were shown here for servicemen. In November 1944 the Tisbury Police Station was reported in the Gazette to be moving from Cronig's Block "where it has been situated for some years" to the former fish market building on Union Street owned by Brooks H. Carter. The chief of police at this time was Simeon C. Pinkham. In Feb 1945 the Gazette reported that the Vineyard Haven police had finished moving into what had formerly been Leroy Lair's fish market (opposite the Artcliff restaurant.) The police station had previously adjoined Henry Cronig's Real Estate office, and after the police left the space was rented by Arthur Silva and Clifford Luce, proprietors of the Artcliff Dining Service. Attorney-at-law Harry Perlstein (1894?  1958) established a law practice in Cronig's Block in 1931. He was born in New York City, the son of Joseph and Rose Perlstein of Russia. He was a veteran of World Was I and had graduated from MIT in 1924 and the Northeastern University of Law in 1928. He practiced for a few years in Boston before moving to the island to work with Henry Cronig. He was one of the organizers and first president of the Martha's Vineyard Hebrew Center. Shirley (Cronig) Smith said: "We brought him down from Boston. He lived with us. They needed a lawyer to handle real estate transactions." "We couldn't have a sailboat because Harry was determined to learn to sail, so he got himself a sailboat and a book and he almost drowned himself! And my father said if Harry can't sail, you'll never be able to learn to sail! Because Harry, he was a fantastic attorney. He cleared titles. One title in Gay Head, the original deed had two brothers names on it and when the land was sold it had women's names. And he found somebody who knew the family and knew that they were transvestites. And he was able to clear the title." Carole (Cronig) Abrahams said: "I don't know how or why, but an attorney was needed, and this young couple came. [Their son] Gerry was already born, I think. And they came, and I don't know if my parents invited them, but they stayed with us when Gerry and I were both babies, and then until they got settled." Pearlstein was "Quiet. And very smart. 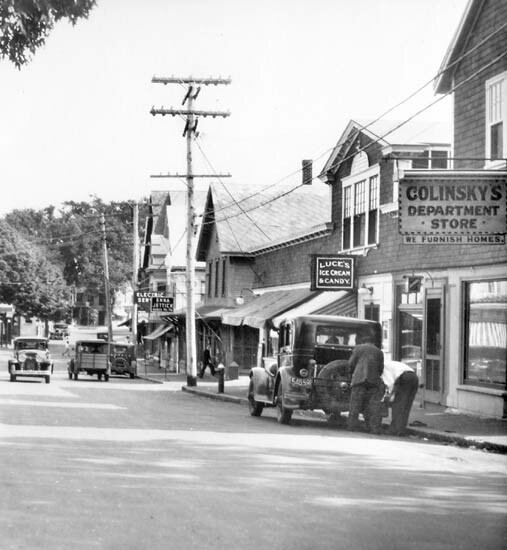 Perlstein was a vital but quiet part of the town. Not a leader in town affairs, but you know the kind of person who's like the support person? Harry and his wife were the only people who we knew first who had a real summer house who left their house right near here and moved to Tashmoo with the kids and everything and stayed for the whole summer. To move the whole house? I found that very impressive as a child." Ruth (Cronig) Stiller said: "He was the only lawyer we had in town, practically. So he would do wills, every few days 'come and sign a will!' I signed so many people's wills, I didn't even know them! 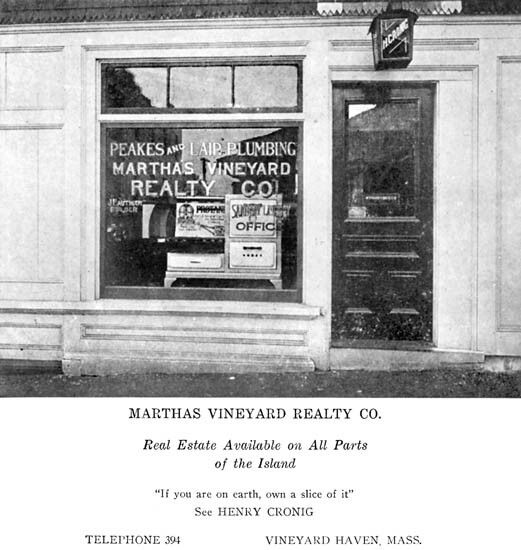 Henry Cronig's Vineyard Real Estate (c. 1925  1960s) "If you are on earth, own a slice of it." Stan Lair said: "Henry Cronig I give a heck of a lot of credit to. He started out with nothing, and he foresaw a lot of things. He bought a lot of land, invested in land, and then later of course it paid off for him, 'cause it doubled, tripled, and quadrupled in value. So Henry was a smart operator. When he first started he had nothing - he started operating from his car, and wound up as quite a big operator." SL: Henry Cronig, a self-made man. BW: They started the grocery store on Main Street and then he didn't like groceries and he went into real estate and continued through his life and Henry made a lot of money. He made an excellent living for his family. Henry and his wife traveled around the world quite a bit and he was not only a wealthy man he was quite a philanthropist. I don't know of any young person in this town whoever went to Henry and was ever refused  and not only were they not refused, most of them got a piece of land cheaper than an awful lot of people could have bought that piece of land for. SL: I remember Henry when he first started  he was working out of his automobile. He didn't have an office. And he didn't have much of an automobile, either! That's the way he started his real estate business. He must have had a lot of foresight, too, 'cause he bought a lot of property that today is real valuable property. BW: I wish I had been that smart when I was young! SL: Yeah. It takes a little I guess you'd call it gambling instinct, or something. BW: It takes a little guts, Hun. BW: You can't be afraid to put your name on a piece of paper. I've been afraid of it, and so have you, and so have a lot of people. Henry Cronig wrote in 1964: "Somehow all through these years of struggling, I had been delegated by my brothers when there was any real estate to be purchased to handle the deal. Thus it was that I had a little knowledge of the real estate business. The first thing I did in that line for myself, was to buy a gas station for A. F. Leonard of Oak Bluffs. He had a gas station, and his competitor, Ed Frasier, another. Both were my grocery customers. Al knew that Mr. Frasier wouldn't sell to him, and cautioned me against telling me who wanted the station." "'Do this,' he said to me, 'and I will pay you as I would any agent.'" "Now as a matter of fact, I would have done it for nothing, both these men being my friends and my customers, and in a month or thereabouts, I made the deal. Al gave me $350!" "Well! Here I had been working my head off selling black pepper, rice flakes, and bologna, and with a little talk, I had earned that amount of money. This, I thought, was real business. No spoiled fruit, no ice bills, no short weights! This was the life!" "Then I saw a house for sale, and I said to Teb, my brother, 'some day we may get married, let's buy this house,' so we did, for $2,200. 'Now,' said I, 'this was my idea and there is one condition that I insist on. If we do get married and live here, I want the lower apartment,' and Teb agreed. But Mr. Brickman wanted it and we made $500 on the turn-over. During that first month in the real estate business I made $700." "We had a grain store in connection with our market and I partitioned off a little corner for an office. I had some signs painted too. Then we built our own slaughterhouse where I guess I did most of the slaughtering, and one day when Charlie Vanderhoop offered to sell six acres of land in Gay Head for $60, Teb and I bought it. I began to take an interest in Gay Head land. Values were very low and it was the only place that I could buy because of the prices." "Eben Bodfish was also buying with Robert W. Martin, and when I found that we were inadvertently competing, I suggested a sort of merger and we became the largest landowners in Gay Head. Eben and I both owned other properties in Vineyard Haven and Oak Bluffs, and when Eben died I traded properties with his estate and obtained most of Mr. Martin's Gay Head property too, so that I became the largest landowner in that town." "Good friends of mine tried to discourage me in this. But I said: 'It might not be the thing for you to do but it's all right for me. I have got the time to wait,' and it paid off." Henry came to Martha's Vineyard about 1914-15. He had went first, briefly, to his brothers' farm in Rochester, and then to the island. He stayed first at Mrs. Mabel Johnson's boarding house in the upper floors of Lane's Block (see Site #___), and later (together with Israel Issokson) with Judal Brickman's family. He worked first for SBS, making $8 per week, delivering orders with a horse and cart, under the instruction of Eben D. Bodfish. Mrs. William P. Bodfish helped him learn to read.
." By the summer of 1928 there were references to Henry Cronig's office. By November 1930 he was calling his business Vineyard Real Estate. The same month Miss Alice Smith was reportedly substituting at Henry Cronig's real estate office while Miss Margery Mayhew vacationed. In January 1936 M. Goldner was advertising his gold-buying services at Henry Cronig's office. 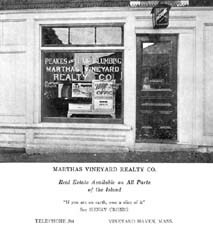 By September 1936 Vineyard Real Estate was using their slogan, "If you are on Earth, own a slice of it." In February 1945 the Gazette reported that Henry Cronig was expanding his office into the location of the old police station, but that he was moving his office upstairs into the second floor. 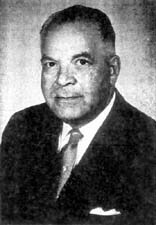 Henry was an early pioneer in racially integrating neighborhoods, and it is remembered that many mixed-race couples came to him. He also helped many young families (including many veterans returning from the war) buy homes by lowering prices and helping to obtain mortgage at the bank. Henry spoke six languages - Lithuanian, Russian, German, Hebrew, Polish, and (lastly) English. However, Henry had never attended school as a child, except for a few years of religious school. 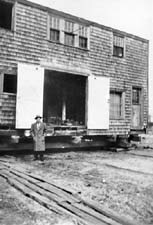 Stan Lair wrote on this photo: "Henry Cronig in front of "The Double Decker" / "Old Coopers Shop" / "Boat Brand" Salt Codfish packing plant / Roy Luce Candy Shop. Now after being moved up Union St. "The Great American Ice Cream" + "Hungry U"
JK: A few years. Not in English. CA: In religious school. No regular school. JK: Well they taught him to read and write, but not English. JK: Somebody named Mabel, who lived in the boarding house, taught him to read English when he came and worked at SBS. CA Yeah but she was only a part of it, because also one of the owners of SBS started him on the National Geographic. And I always thought that was such a good pedagogical technique for an immigrant. SZ: He subscribed to that for years! CA: Oh yeah. He was very loyal to that. Well he said that the boss first started to give him some instruction because he was delivering and he wanted to be able to fill the orders that were left. So he taught him to read the names of the products. And then he moved on and I guess Mabel took over. Henry's secretaries included Gladys (Benson) Duquitte (daughter of Capt. Norman Benson), Sid Alter, Dora Fenner, Pearl Sears, and Margie Humphries. JK: [Henry would] "go to Gay Head and buy a bunch of lots from somebody. I don't know if you've ever seen the Gay Head maps  the old 1872 maps, deed maps  Richard Pease is the surveyor  and the numbering system was very strange. And of course the lots could be all over the place, and we'd get down on our knees on the floor and find the pieces all over the maps. CA: It used to be that when you walked in, when I was young enough but old enough to remember, it was you walked into a reception area and then toward the left where father had a private office. JK: His secretary sat in front. CA: And he didn't have a window there. JK: Well the front windows were there. Oh no, he didn't have a window in his back little office. And there was a built-in safe in the wall. CA: And Harry [Perlstein]'s office was to the right, and to the back. CA: Later he built himself a private office upstairs. And he had a big, what you call, I think you call it a 'partner's table.' You know the conference table where you can have a drawer at both ends? It's really a table. One summer when I was in college he actually paid me to write in on the map who owned what as of that date because those maps were so confusing. He had had a blank one made up, and it was really big. He actually employed me. It took me some weeks to go through everything and record, and I think I had to pencil it and then say 'Okay, Dad, is this section right?' And then he'd say 'yes' and go ahead. It was so confusing. That work was so confusing. But by then he had a nice apartment upstairs. He had a conference room facing the street, and a private office facing inward, facing west, was his private office, on the left, and then a kitchenette, on the right. And I forget where the bathroom was, in the back. CA: And he had that elevator. SZ: The first one ever put in on the island." JK: Well he had bought that from someone. It was the first elevator. He wasn't the first owner. You had to manually close the door. And he said 'I don't want the children of this island not to know what an elevator looks like." SZ: Carly said when he died, the elevator stopped. CA: Yeah. He said it started to fail, and they had to take it out. But it was the only one on the island. CA: He hustled to make extra money, too. He did auctioneering on the side. JK: He was a very good auctioneer. JK: That he had fun with, too. CA: Usually estates. People would hire him to come for the day. CZ: He learned how to do the fast talking. He could put on a show. CA: Talking back and forth to the people he knew in the audience. Mostly it was estate sales and they were usually just one day events. One time there must have been an auction where we didn't go, and I don't know why, and when he got home from it he said 'Look in the garage  there's a present.' Three or four cartons of unsold books. Moldy and all that, but fabulous because I like to read a lot. Some of it was like from 1850 and it wasn't too interesting to me but some of it was good stuff and I had a lot of hours sorting through in the garage and picking out what was still good and putting them in the sun to dry. I don't know where they came from. Henry Cronig wrote in 1964: "After twelve years in the grocery business, I quit entirely. I took up a laundry agency, which I sold, and established a bottled gas company, Cronig Utilities, without a single customer. It was a lot of fun, but a lot of hard work. I wore overalls, and delivered heavy stuff, and the business prospered. All went well until the business became too big. When one driver won't speak to another, it isn't funny, and I had that experience. But I had it thirty years or more." "On my 50th birthday, my family was in Arizona and I was living alone over the office. I got to thinking. It was no trouble to make money, but how long can I keep up the pace? For four nights in a row I had been making coffee at 4 a.m. because I couldn't sleep. Well, as a result of a lot of decisions, I changed the name of the business to Vineyard Utilities, put it under the management of my oldest employee, Manuel Caton, and took my nephew Carlyle Cronig into the real estate business with me. Then I took off for Africa and I have never answered the telephone since." In March 1933 Henry Cronig was advertised as an agent for electric refrigerators, in June 1933 he advertised bottled cooking gas, and in May 1934 gas ranges. By May 1934 Henry was advertising as Cronig's Utility selling bottled gas, electric and gas refrigerators, oil burners, water pumps, and other equipment. By April 1935 Cronig's Utility Service advertised their "office and show rooms" on Main street. In April 1936 Cronig's Utilities was advertising coal ranges. In November 1937 Cronig's Block underwent "extensive alterations" according to the Gazette. They changed "the entire front" of the building, especially the electrical store of George W. Cary. The store was to have a glass front and two large display windows. They enlarged the law offices of Harry Pearlstein which were in a suite with those of Henry Cronig. A large addition was also added in the rear. In January 1938 Henry Cronig's and George W. Cary's heating businesses merged under name of The United Heating and Air Conditioning Company. Their offices remained "opposite the bank." In 1939 and 1940 Cronig's Utilities advertised kerosene, gas, and electric refrigerators, and heating units, and George W. Cary advertised GE refrigerators and radios. June (Cronig) Kapell said: "First he had the showroom next to the real estate office in what had been Colinsky's and where the real estate is now. There was a door between the office and the showroom. This is something I've always meant to research: I know they made gas here on the Vineyard, in Vineyard Haven. Somewhere around Norton avenue, off of Franklin Street. There was a gas works. They closed up. Gas for lighting, for the gas lamps. I think when they closed, they began bringing in the tanks, and what prompted my father to start into the gas business, I don't know. But then he said, 'If I'm going to sell the gas, then I'll sell some of the appliances, too.' Real estate was not all that profitable in those days, and you had to hustle a few other things. Then Manny Caton, who worked with him for many years, took it over. Carole (Cronig) Abrahams adds: "I think it was through Father's real estate interests. And everybody then used bottled gas. It began to be introduced, and people were switching to it, and I think it was a sort of natural outgrowth of being a realtor that he got interested in investing in the business. Well we don't know the details of it, but it would have a been a kind of natural sideline to be in at that time. In January 1945 Cronigs Utilities announced that after "twenty years" in Vineyard Haven, the business was under new management. Founder Henry Cronig was turning over the business to Manuel Caton of Oak Bluffs. Caton had been the assistant manager for ten years, and was now the general manager. Mrs. Gladys M. Frey became secretary and treasurer. The new business was renamed the Island Service Company, but the trade continued to be in gas, heating, and refrigeration. By June 1946 Vineyard Utilities Inc. was advertised as the "successor to Island Service" and "formerly Cronig's utilities." They advertised electrical appliances: stoves, refrigerators, washing machines, and heating equipment. By August 1946, Vineyard Utilities had moved into the former USO room, and the Vineyard Shoe Store had moved into Vineyard Utilities former space. In January 1950 Vineyard Utilities, Inc. was advertising heating plants. M. A. Caton was listed as president. In 1953, Vineyard Utilities, Inc. advertised washers and dryers, and in 1959, heating systems. Walter Renear said: "The appliances  that was run by Henry Cronig and then for awhile by a salesman, and Manuel Caton. And they pushed Manuel out into one of those little buildings in the back." Walter Renear writes: "Stan Lair and Fred Peakes had a plumbing business (shop) just over the north wall of the north side garage; the office was on Main Street and shared with Henry Cronig's Real Estate. The plumbing shop building was a four sloped roof affair, which I believe still stands behind the current 'Bagel Authority' and on Drummer Lane."